The Special Monitoring & Coastal Environmental Assessment Regional Activity Centre (CEARAC) is one of the four Regional Activity Centres (RACs) to carry out individual activities of the Action Plan for the Protection, Management and Development of the Marine and Coastal Environment of the Northwest Pacific Region (NOWPAP). 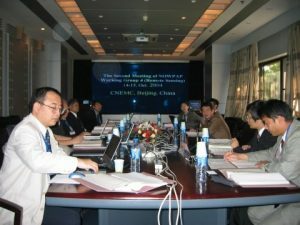 Hosted by the Northwest Pacific Region Environmental Cooperation Center (NPEC), CEARAC was established in April 1999 in Toyama, Japan, under auspices of the Ministry of the Environment. Finalization of the Memorandum of Understanding (MoU) with UNEP was made in July 2002, which provides the overall framework for cooperation between UNEP and NPEC.